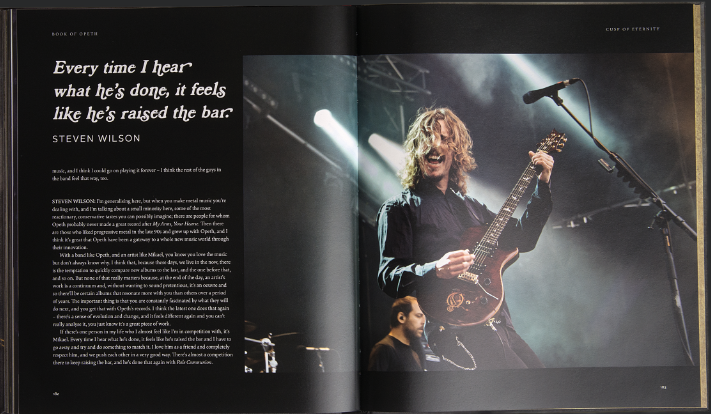 To celebrate their 25th anniversary, Swedish death-metallers Opeth are releasing The Book of Opeth – a sumptuously illustrated history of the band, from their earliest days until the present day. And what a book! 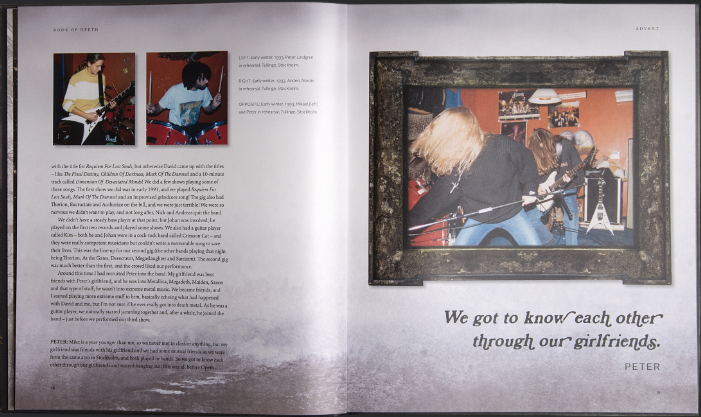 The 208 page hardback book is told in the first-person by Mikael Akerfeldt, the band, their friends, former members and collaborators. It’s illustrated throughout with hundreds of previously unseen pics, rare artworks and memorabilia – and includes early, personal, candid, studio and live photographs, and an extensive illustrated discography. 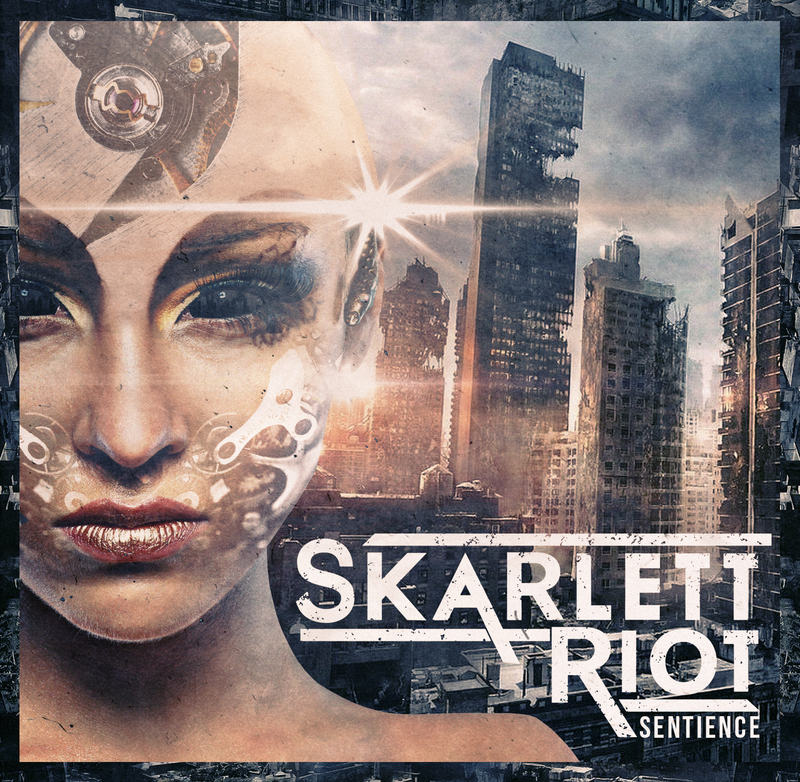 It also comes with a 7″ if previously unreleased acoustic versions of ‘Atonement‘ and ‘Demon of the Fall‘. 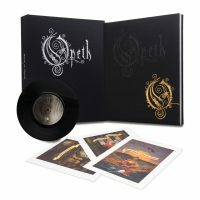 As a fan of Opeth, I’ve found this a truly fascinating read – learning about the band and their music at each step of their 25 year journey. 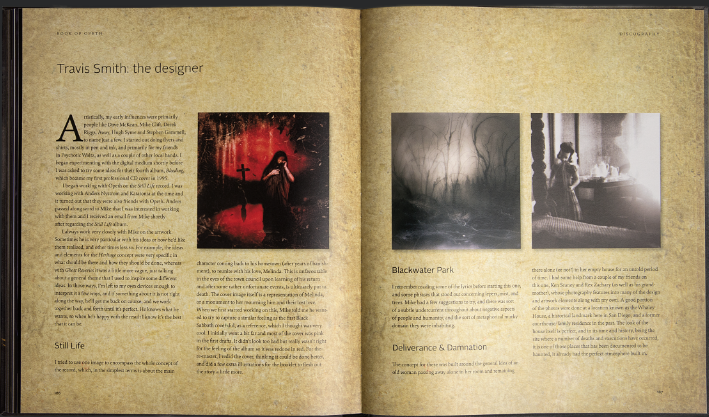 It’s available in 2 editions – a Classic Edition (£40) and a Signature Edition (£250). 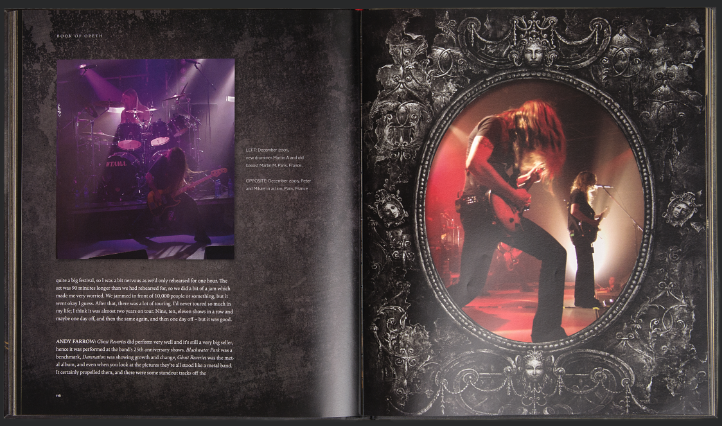 The Signature Edition is limited to 500 copies, each of which is signed by Mikael Akerfeldt. Not only that, but it comes in a clamshell case and includes several limited edition art prints by Travis Smith. 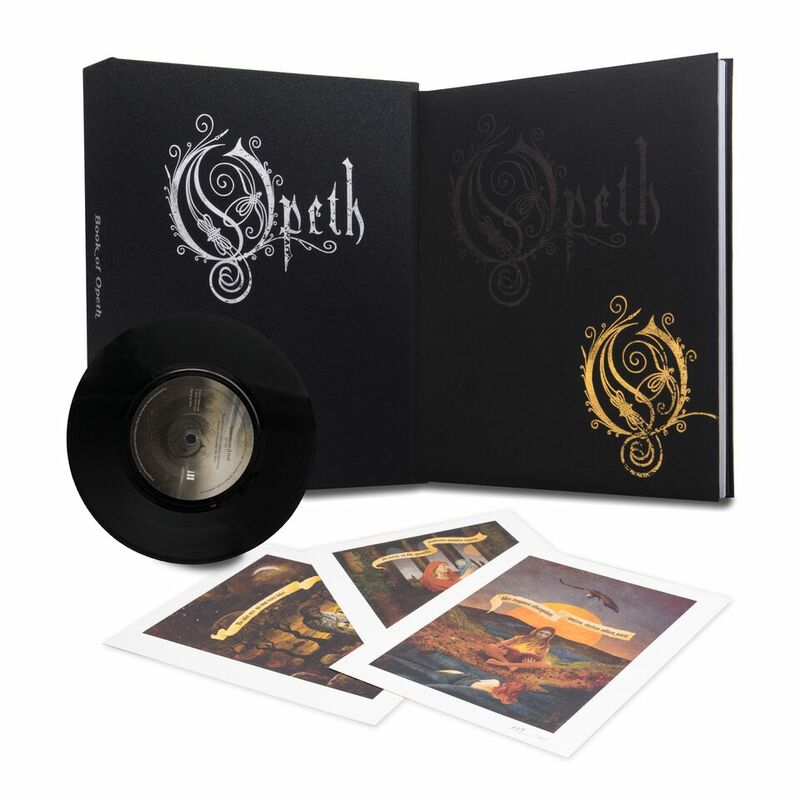 This is a beautiful work of art and an absolute must have for fans of Opeth – it’s available for pre-order right now – see the link below!